Japan Rail Pass and Area Passes offer excellent value for train travel throughout Japan. The railway network is extensive and highly efficient covering the whole of the country and taking you to almost every city and town of any size. The sightseeing experience of rail travel in Japan is amazing. You’ll ride in comfort and view the most beautiful scenery from mountains and forests, to lakes and the sea. Travelling by train in Japan is easy and safe. The trains are frequent, punctual and clean. The Japan Rail Pass is the most common pass used by visitors to Japan and covers the entire country. There are also regional Japan Rail Passes covering smaller areas. Each regional pass covers a particular geographic area of Japan which encourages you to visit the attractions of that area. These passes may be most advantageous to visitors who have been to Japan before and have seen the main tourist sites of Japan. The Japan Rail Pass, issued by the Japan Railways Group (JR Group), is the ideal travel solution and the best way to explore Japan by train. The Japan Rail Pass enables the almost unlimited use of the extensive train networks throughout Japan as well as its affiliated bus and ferry services. You can use any JR train service including the high-speed shinkansen, or bullet trains (except for the Nozomi and the Mizuho shinkansen). The Pass does not cover lines that are run by private rail operators, only the Japan Railways (JR) Group. The Japan Rail Pass is available for 7, 14 or 21 consecutive days of unlimited travel on the national Japan Railways (JR) network, in a choice of ordinary class or green car (first) class. Australian residents travelling on a Japanese passport are no longer allowed to purchase the Japan Rail Pass. The JR East Pass is a great way to save money while enjoying the beautiful nature and peaceful regions of eastern Japan. There are two types of JR East Pass – the Tohoku Area Pass and the Nagano/Niigata Area Pass. Both passes allow unlimited travel on all JR East train lines, including the shinkansen, in the designated area for any 5 days within a 14 day period. 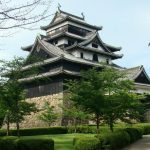 Whether you are visiting the snow in Nagano or Niigata or exploring the gorgeous scenery of Tohoku, this can be a better value option compared to a Japan Rail Pass. *Japanese passport holders cannot use this pass. The Kansai region is home to some of Japan’s most popular sightseeing destinations, including Kyoto, Osaka, Nara, Kobe, Himeji and Hiroshima. The region is served by a dense rail network which is operated by a number of different railway companies. 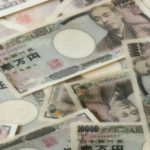 As a result, a variety of JR West (West Japan Rail Company)’s tickets and rail passes are available to help you save money. Whether you are travelling around the Osaka region for a few days or planning on taking some longer journeys in the region, there is a rail pass available to suit your travel needs. The Kyushu Rail Pass is the perfect ticket for Kyushu sightseeing and travel. The use of this pass enables you to board the Kyushu shinkansen ‘Tsubame’, and the ‘Sonic’, a limited express train, as often as you like while your pass is valid. You can also use any Kyushu Railway Company train as often as you like. Kyushu has many sightseeing destinations such as the castle town of Matsuyama, Beppu’s hot spring resorts and active volcanoes Mt. Aso, in Kumamoto, and Sakurajima, in Kagoshima. The JR Kyushu Rail Pass gives you access to JR Kyushu trains for 3 or 5 consecutive days, allowing you to discover the charms of the third largest island in Japan. *Japanese passport holders may be able to use this pass subject to certain conditions. Japan’s stunning northern island, Hokkaido, is home to world-class ski resorts, beautiful natural scenery and amazing experiences. Discover the cultural heritage and the inhabitants of the island, and enjoy its mild summer climate, which makes it an ideal destination during the humid summer felt by the rest of Japan. The Hokkaido Rail Pass allows travellers to enjoy unlimited rides on all JR Hokkaido lines, as well as certain buses, for 3, 5, or 7 consecutive days. There is also a flexible 4-day version for use within a 10 day period. Shikoku is the smallest and most serene of Japan’s four major islands. 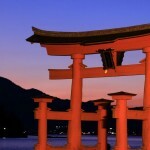 It is known for its quiet natural beauty and is renowned for its traditional Japanese culture and abundance of temples. An exploration of Japan is not complete without spending a few days on the island. The All Shikoku Rail Pass provides unlimited access to trains in the region for 2, 3, 4, or 5 consecutive days. It is valid on all JR trains, as well as the trains and trams of Kotoden, Iyotetsu, Tosaden, Tosa Kuroshio Railway and the Asa Kaigan Railway. From the moment you land at Narita or Haneda airport, the JR East-South Hokkaido Rail Pass is your ticket to some of the most exquisite scenery in the north and eastern Japan. Spend a few days exploring Tokyo before heading to the samurai districts and fascinating landscapes of Tohoku. Continue your journey to the mesmerising countryside and famous hot springs all the way to Sapporo and Otaru in Hokkaido. The JR East-South Hokkaido Rail Pass can be the most economical way for travellers who visit Tokyo and Sapporo by train, providing you with the flexibility of 6 days of travel in a 14 day period.